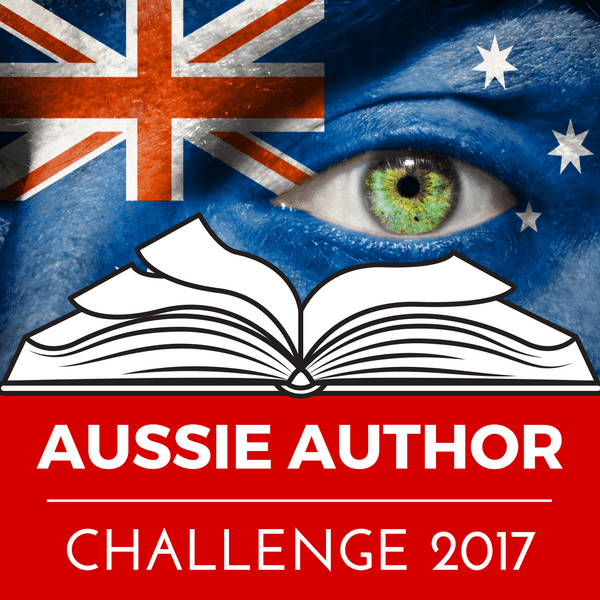 This year I participated in two Australian reading challenges and completed both of them! Here are the details. 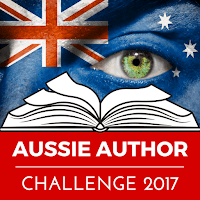 The Aussie Author Challenge 2017 is hosted by Booklover Book Reviews and I signed up for their Kangaroo level this year. 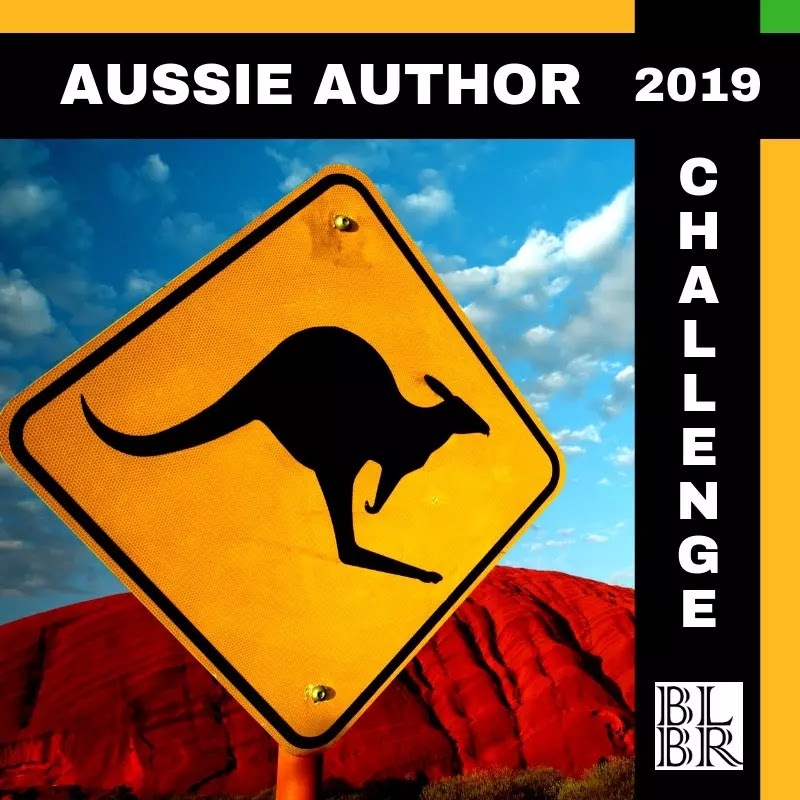 To complete the challenge, I had to: read and review 12 titles written by Australian authors; read at least 4 female and 4 male authors; read at least 4 new authors (to me); and read a minimum of 3 genres. I also signed up for the Franklin level of the 2017 Australian Women Writers Challenge and needed to read 10 books by Australian women and review at least 6 of them to successfully complete the challenge. 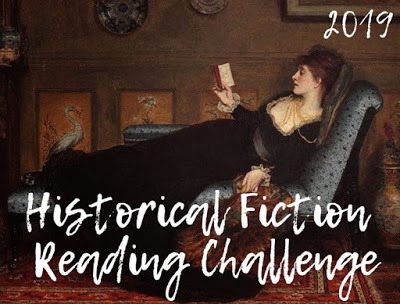 I discovered some great titles during these reading challenges and will definitely be signing up to participate again in 2018. Okay, I get it now. 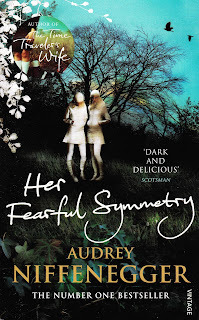 The fuss around Audrey Niffenegger that is. This is my first time reading Niffenegger and Her Fearful Symmetry has several of the elements I love in a novel: twins (not just one set but two generations of twins), a cemetery and a ghost. Set in London, this is a slow burn that begins when Elspeth Noblin leaves her flat overlooking Highgate Cemetery to her twin nieces after her death. 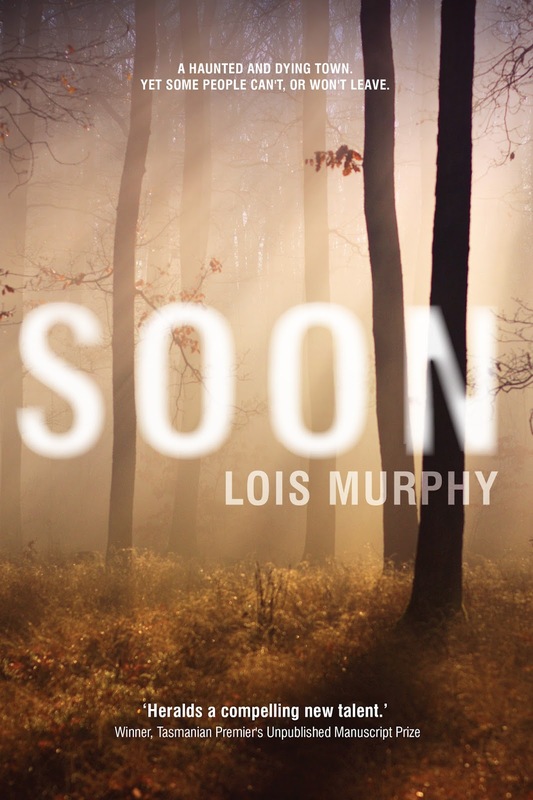 Elspeth and her own twin sister are estranged, so the bequeathment comes as quite a shock to the family. The twin girls must live in the flat for a year before they can sell it and the inheritance begins to transform Julia and Valentina in small and subtle ways. I loved the character of Robert, primarily because it was through him that the reader is treated to so much history of the Highgate Cemetery. Robert volunteers at the cemetery and takes tourists on guided tours throughout the grounds and these were by far my favourite elements of the book. I found the final denouement and the choices made by two of the characters to be such a disappointment that I became quite dissatisfied with the ending. 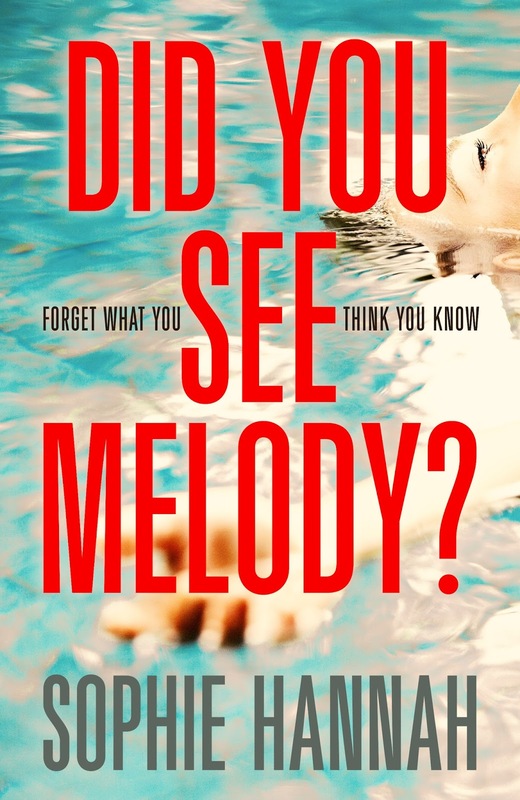 Sometimes a disappointing ending can be provocative and exciting, but I was left feeling angry at two of the characters and wanted to slap one of them, so it cost the novel a star in this review. 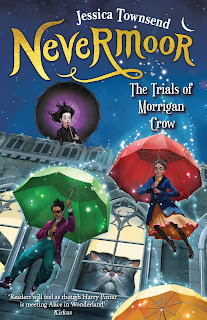 Jessica Townsend is the hottest debut Australian author at the moment and the writer of Nevermoor - The Trials of Morrigan Crow. Nevermoor is a fantasy novel for young and young adult readers and contains elements of magical realism, without the wands and spells. Morrigan Crow was born on Eventide and consequently she is fated to die on the next Eventide, which happens to be her 12th birthday. Being born on the most unlucky day of the year means she is cursed. Morrigan knows she is going to die on Eventide and unfortunately her birthday is fast approaching, but just when all seems helpless, she escapes to a new place called Nevermoor. Nevermoor takes off from the first page with instant world-building and it took me a while to 'get into it' to be honest. But once I began to relax into the world of Morrigan Crow, I could settle in and enjoy her adventure. 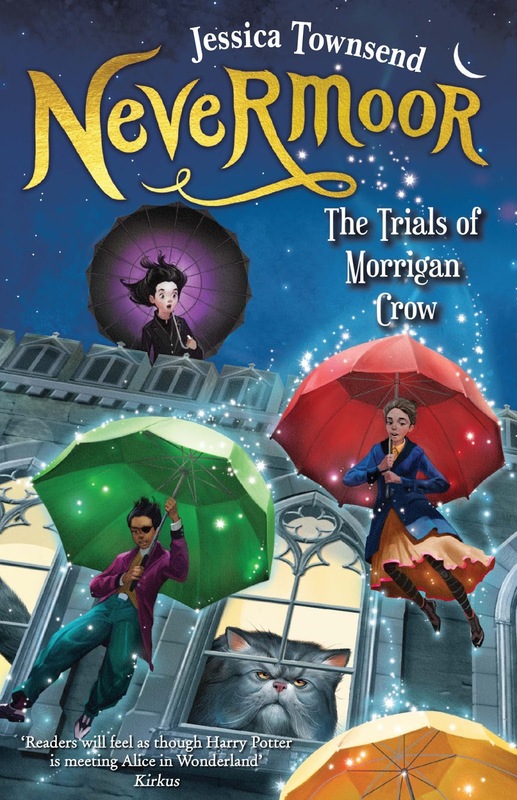 When I saw the cover (yellow font on a blue background and the presence of umbrellas), I worried that Nevermoor was going to be a Mary Poppins / Harry Potter / Peter Pan rip off. Fortunately my suspicions were swiftly allayed, so don't jump to the same inaccurate conclusions I did. Sometimes judging a book by its cover can be a mistake. Nevermoor is already achieving amazing milestones in Australian publishing and 20th Century Fox has purchased the movie rights. 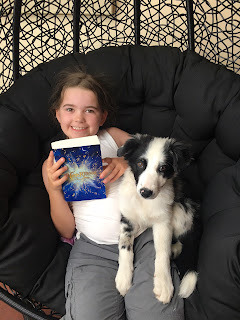 Nevermoor is aimed at middle grade readers (aged 8-12) but is highly recommended for those who enjoy a young coming-of-age novel and the magic and creative whimsy of the Harry Potter series. It's the first in a series for young and old readers alike. I've finally surpassed 1,000,000 views here on Carpe Librum! From humble beginnings way back in 2005, and with a different name (My Four Bucks) I still remember the excitement of achieving just 30 views/hits in a single month. I'd check my stats daily and it was thrilling to see it rise. (Tragic, I know). Since then, I've kept at it and in November 2011 I was celebrating 13,000 total views and in June 2015 celebrated my 10 Year Blogiversary. I now enjoy an average of 10,000 views per month and am spoiled for choice when it comes to publisher catalogues. A huge thank you to each and every one of you reading this for making my dreams come true. 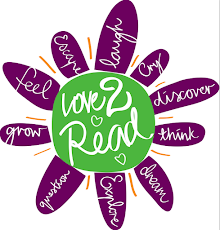 I hope you've been able to discover some great reads along the way, win a giveaway or perhaps even dodge a dud book now and then thanks to my vetting it for you. 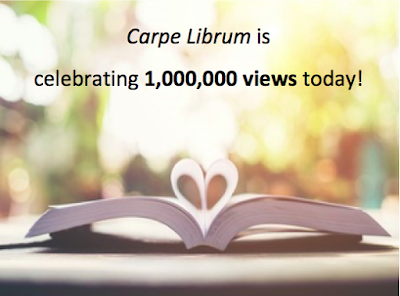 I'll never tire of reading and reviewing here at Carpe Librum, and I'm so grateful to be able to share my love of books with you. If you have any suggestions on how I should celebrate this milestone, let me know in the comments below. 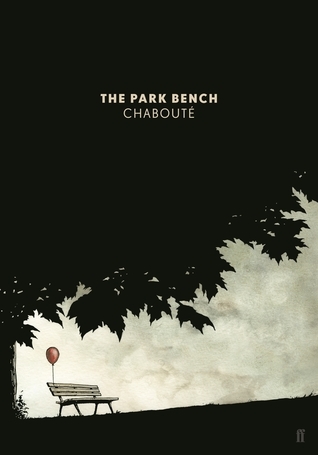 The Park Bench by Christophe Chaboute is a graphic novel about the day-to-day experiences of a park bench. It's a simple premise, but interestingly, there is no text used in the artwork at all. I've since learned graphic novels like this are called wordless or silent graphic novels. This is my first time reading a wordless graphic novel but Chaboute makes it surprisingly easy to follow the story arc. There are happy, sad, curious and mundane things that happen on, at and around the park bench and the reader is able to follow along with relative interest. The Park Bench is an entertaining reading experience and has definitely cemented my view that graphic novels should play a part in everybody's reading at one stage or another. I've always been of the opinion that adults who say they don't read, just haven't found the right book or genre yet. What graphic novels have you enjoyed? Rosamund Young is first and foremost a farmer and runs Kite's Nest Farm in the Cotswolds. She's been observing animal behaviour since 1980 and began to notice that cows are intelligent animals with personalities as diverse as our own. 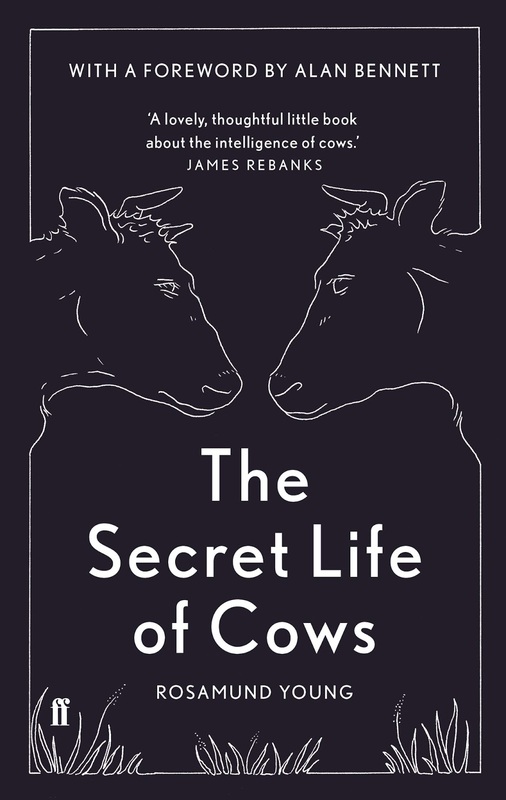 In The Secret Life of Cows, Rosamund shares anecdotes about her animals, their behaviours and interactions in a personable and chatty manner. Every cow on her farm is given a name and Rosamund knows the complete family tree of all the cows on her farm. They play games, babysit, hold grudges and grieve. Her cows are able to communicate and let her know if another cow in the herd is hurt, and are surprisingly adept at problem solving. They also love to be groomed, who knew? I was interested to learn cows will seek out food according to their needs, (willow if they have an injury or stinging nettles when pregnant) highlighting and reinforcing the need for organic farming practices. 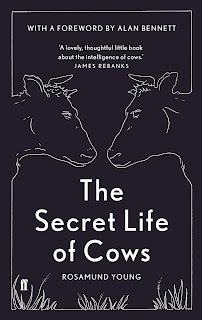 Presented in an attractive little hardcover reminiscent of a clothbound classic, The Secret Life of Cows would make a lovely gift this Christmas for animal lovers, hobby and full-time farmers. Many readers worried Australian author Jane Harper couldn't top her award-winning debut novel The Dry, but I'm here to tell you she has! 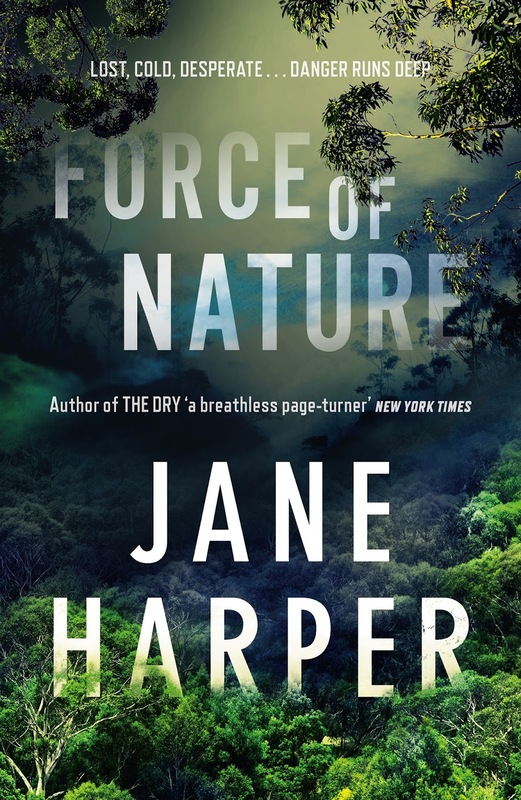 Force of Nature is a ripping read and just as full of thrilling suspense as The Dry. The end of each chapter unapologetically forces you to continue onto the next, with a freshly stoked desire to find out what happens. Force of Nature can easily be read as a standalone, however it does feature the same main character AFP Officer Aaron Falk. This time Falk is investigating the case of a missing person, lost in the bush during a corporate team building and camping retreat. Each of the five female staff members on the retreat have their own problems and the conflict that grows and festers between them was expertly written. Jane Harper captures the menacing and unforgiving wilderness of the Australian bush with such precision, that several scenes reminded me of the 1886 oil painting Lost by Australian artist Frederick McCubbin. I'm recommending Force of Nature to readers everywhere and it's certainly been a highlight on my reading calendar this year. P.S. 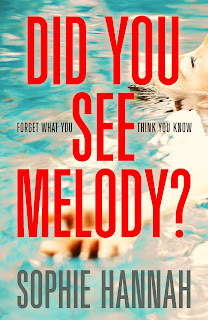 Read a FREE extract here. Congratulations Fay, you'll receive an email from me today and will have 7 days to provide your mailing address. Endeavour Press will send your prize out to you directly and I hope you enjoy it. 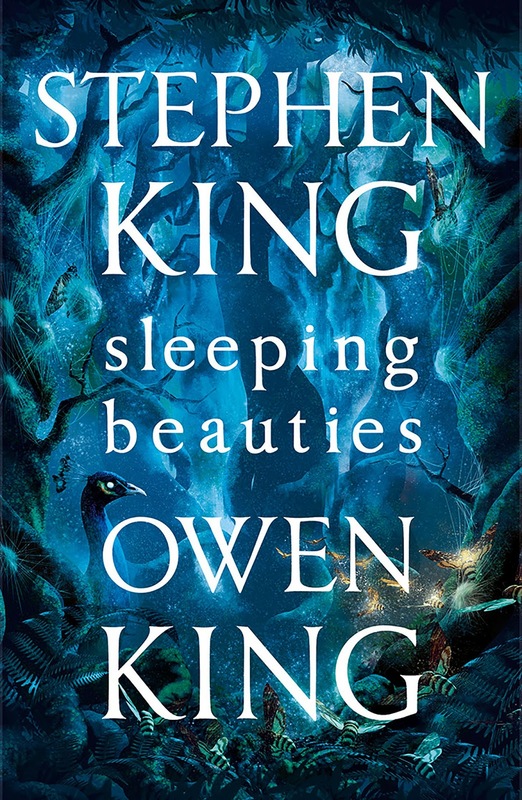 Sleeping Beauties is a collaboration between father and son, and is written seamlessly. Stephen King and his son Owen have teamed up to explore what happens when the women in the world succumb to a sleeping sickness. But there's always one exception to the rule and Eve doesn't fall victim to the illness. Is she the devil or their saviour? Women fight to stay awake, but when they eventually fall asleep they're quickly covered in a cocoon of gauzy web-like substance. The book eventually explains this, but as in Under The Dome, the novel is more about what happens to the people left behind and how they react. There were many unanswered questions by the end, but I think you just need to 'go with it' - as in Cell and UR - and give yourself over to the premise. Told in multiple points of view from many many characters in the town of Dooling in West Virginia, the plot unfolds quite rapidly over a relatively short period of time. Much of the story takes place at a women's prison which King writes very well and some readers will enjoy the parallels to other novels in the King canon. 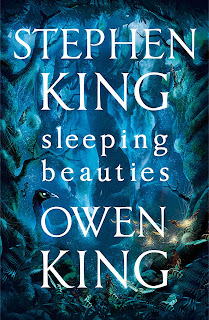 Sleeping Beauties unashamedly and unapologetically raises and explores the issue of gender politics, clearly - in my opinion - siding with the women. Some feminists are likely to find themselves nodding along, while it wouldn't surprise me if this irked a few readers; me included. The climax of the book for me took place at the prison, and this scene is begging to be played out on the big screen. The multiple points of view and rolling action does make for a massive tome though, and Sleeping Beauties comes in at 700+ pages. At the end of the day, it's a hefty read and I think it would work better as a movie or TV mini series. With the recent success of Stephen King adaptations, this has a good chance of happening. 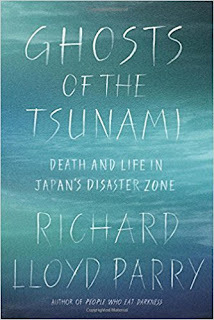 After reading Richard Lloyd Parry's essay entitled Ghosts of the Tsunami in the London Review of Books, I instantly became obsessed with getting and reading his book, Ghosts of the Tsunami: Death and Life in Japan's Disaster Zone. Parry was living in Tokyo at the time of the earthquake and spent six years as a foreign correspondent visiting and reporting from the tsunami disaster zone. - It was the biggest earthquake ever to have struck Japan, and the fourth most powerful in the history of seismology. - It knocked the earth 10 inches off it's axis. - It moved Japan four feet closer to America. - The tsunami killed 18,500 people. - At its peak, the water of the tsunami was 120 feet high. - The earthquake and tsunami caused more than $210 billion of damage, making it the most costly natural disaster ever. I didn't know that the Japanese honour their dead ancestors in the form of household altars and memorial tablets. When these were destroyed in the tsunami, the subsequent grief and bereavement was about so much more than the immediate loss of life. The tsunami destroyed memorial books and tablets containing the names of generations of ancestors and even ripped open cemetery vaults and scattered the bones of the dead. Without their memorial tablets, and important family items, survivors weren't able to honour their ancestors. Entire families lost in the tsunami left nobody behind to honour them and their ancestors. The disaster left a population in deep grief and a feeling that the souls of thousands of ancestors had been suddenly 'cut adrift'. Parry interviewed hundreds of survivors and many of their experiences are in this book. He tells how survivors "spoke of the terror of the wave, the pain of bereavement and their fears for the future. They also talked about encounters with the supernatural. They described sightings of ghostly strangers, friends and neighbours, and dead loved ones. They reported hauntings at home, at work, in offices and public places, on the beaches and in the ruined towns." I was hoping to read more about these encounters and the way in which the nation and individual communities dealt with the sudden loss of 18,500 souls. Stories like this one: "A fire station that received calls to places where all the houses had been destroyed by the tsunami. The crews went out to the ruins anyway, prayed for the spirits of those who had died - and the ghostly calls ceased." However it soon became clear that Parry's overwhelming focus was going to be the story of the children at Okawa primary school. Tragically, the teachers did not evacuate the children to higher ground, despite having more than enough time to do so before the tsunami struck. Parry documents the parent's grief, the search for their children's remains (often lasting years), the process of pursuing the school and government for answers, right through to class legal action; quite unusual for Japan. 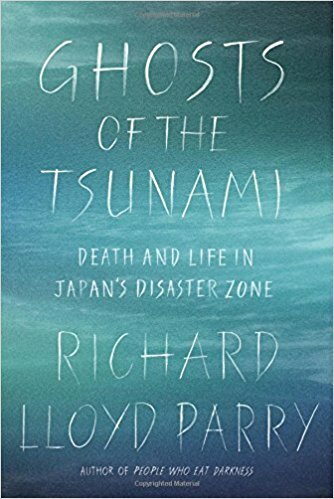 Reading Ghosts of the Tsunami: Death and Life in Japan's Disaster Zone was incredibly informative, factual and shocking but at the same time heart wrenchingly tragic. Unfortunately for the Japanese, the threat of earthquake and tsunami is constant. Parry tells us that in 2012: "a new study concluded that an earthquake and tsunami originating in the Nankai Trough could take 323,000 lives along the south-central Pacific Coast." He also says that "it is generally assumed Tokyo will be shaken by an earthquake powerful enough to destroy large areas of the city......that will kill many tens of thousands of people." I hope this doesn't happen during my lifetime, although the Japanese seem as prepared as they can be for the inevitable. Until then, this generation will continue to wade through their grief and loss the best way they know how. * These facts have been extracted from the book. 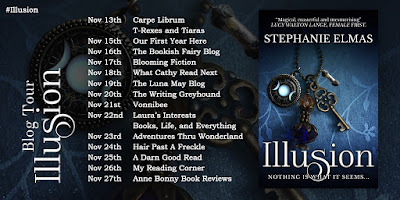 Today is the beginning of the Illusion blog tour thanks to Endeavour Press and to celebrate, I'm running a giveaway from 13 - 27 November. 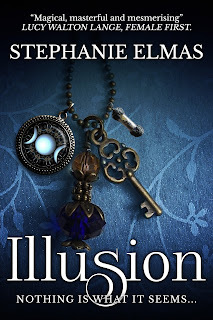 Up for grabs is a paperback copy of Illusion by Stephanie Elmas (not currently available to buy in Australia!) priced at $9.99USD. Enter below for your chance to WIN. London, 1873. Returning home from his travels with a stowaway named Kayan, Walter Balanchine is noted for the charms, potions and locket hanging from his neck. Finding his friend Tom Winter’s mother unwell, he gives her a potion he learned to brew in the Far East. Lucid and free from pain, the old woman remembers something about Walter’s mother. Walter is intrigued, for he has never known his family or even his own name – he christened himself upon leaving the workhouse. Living in a cemetery with his pet panther Sinbad to keep the body snatchers away, word soon spreads of his healing and magical abilities and he becomes a sought after party performer. During one of Walter’s parties, Tom is approached by Tamara Huntington, who reveals she is being forced to marry a man she does not love. Will he and Walter come to her rescue? Try as they might, sometimes all the best intentions in the world can’t put a stop to a bad thing, and she is soon married off to the cruel Cecil Hearst. 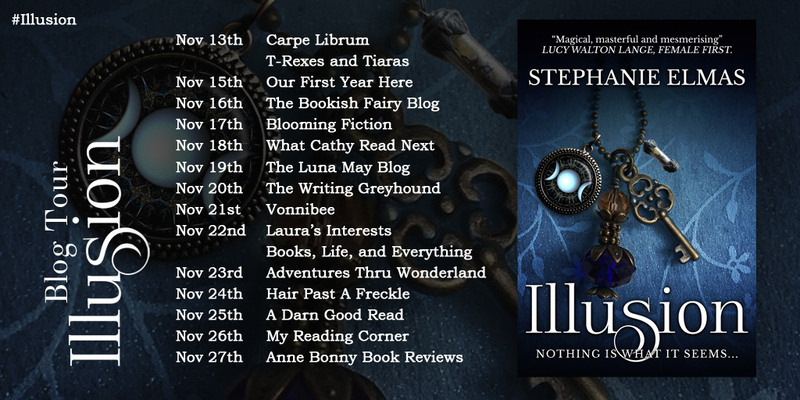 Filled with mystery, magic and larger than life characters, Illusion will keep you guessing until the very last page. 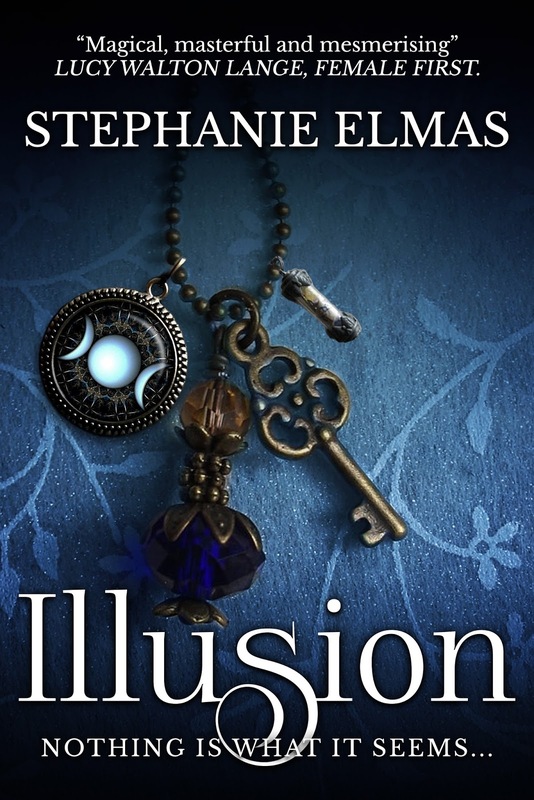 Stephanie Elmas was born in Hong Kong but spent most of her childhood in Bristol. Having worked as a head hunter, she taught English in Japan before returning to University to complete an MA in Victorian fiction. It was here that she developed her interest in the dark dangerous world of Victorian sensation writing. After the success of her first novel, The Room Beyond, Elmas has returned to write the tale of the early life of East End mystic and illusionist Walter Balanchine. When she is not writing, Elmas teaches secondary school English and juggles a chaotic household in Surrey. I don't typically read spy novels (in fact, if I see the word espionage in a blurb I usually run a mile) but Need to Know by Karen Cleveland is an espionage thriller and I absolutely loved it! Main character Vivian Miller is a working mother with four children and a perfect husband, but something soon happens to change all that. 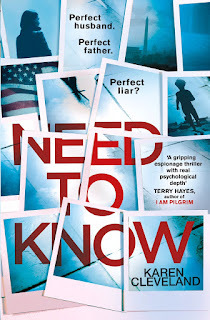 Need To Know is believable, fast paced and reads like a domestic thriller. When I wasn't reading it, I was thinking about when I could get back to it, which is a ready indicator of a great book. 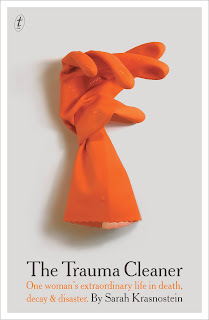 It's hard to believe this is a debut novel from the author, but when I learned she had spent 8 years as a CIA Analyst, I understood why I'd been in such competent hands. Karen Cleveland knows what she's talking about. The pitch for this book was the best I've seen from a publisher in more than 11+ years of reviewing and I was instantly hooked. Arriving in a classified envelope containing my redacted mission and an ID pouch, my advanced reading copy also had phrases printed on the page edges (see below). It's my favourite review copy in distant memory and the novelty made me excited to read the book and I wasn't disappointed. 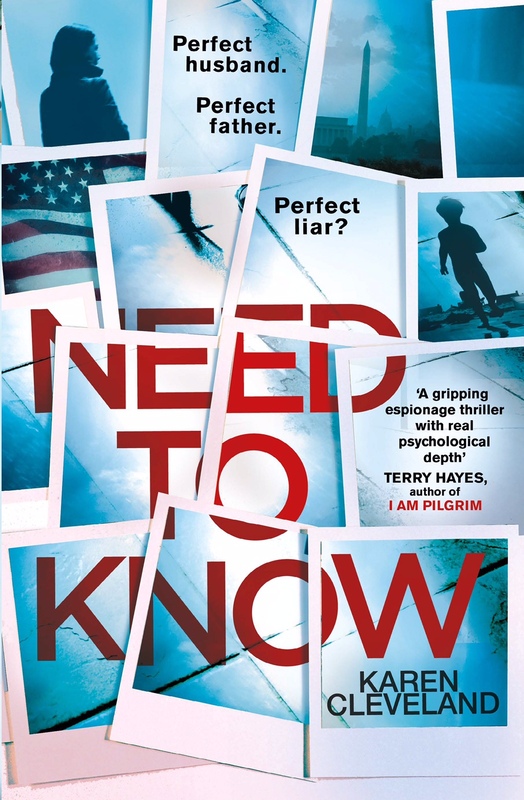 Need to Know by Karen Cleveland will be released on 25 January 2018 and I highly recommend it. Even if you don't think spy thrillers are for you; this novels breaks through the genre in a new and surprising way. 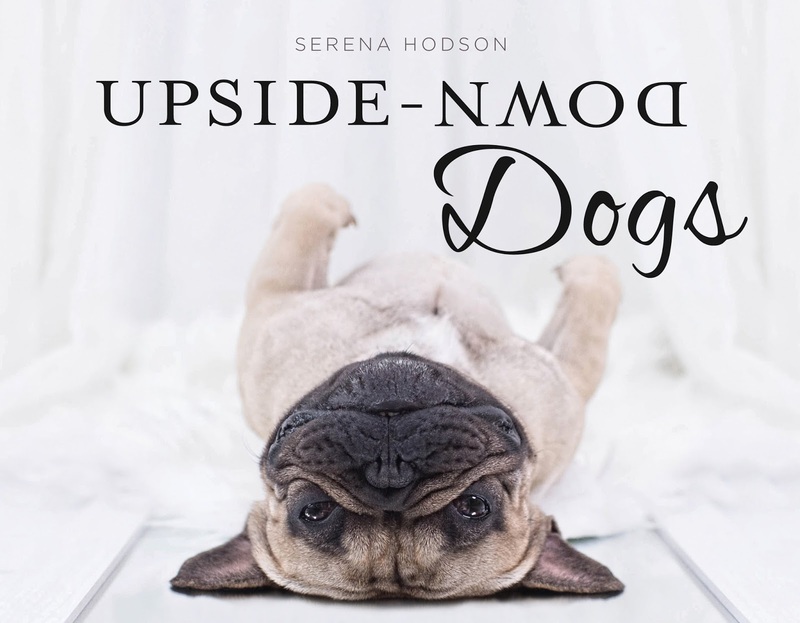 Upside-Down Dogs by Serena Hodson is a collection of photographs depicting a variety of dogs - yep, you guessed it - upside down. A multitude of poses and backgrounds make this a very enjoyable coffee table book for all ages. 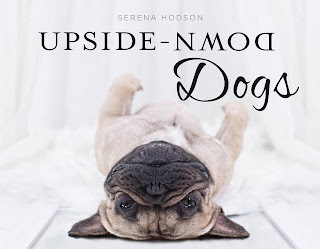 Serena Hodson is a NZ born photographer now living in Brisbane Australia and is also the author of Dogservations. I have no idea how Hodson encourages the dogs to relax and let their 'guard' down in order to photograph them upside down. 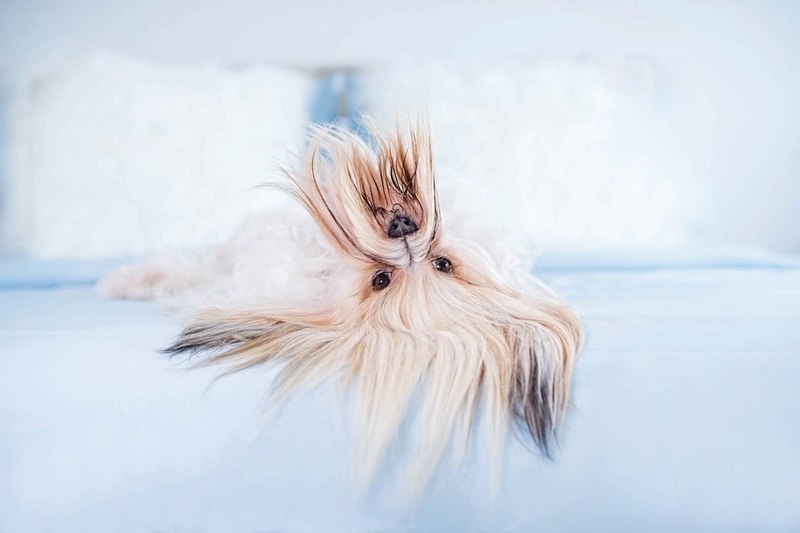 Her photographs seem to capture moments of fun and relaxation as well as expressions of curiosity and wonder as each dog's personality shines through. 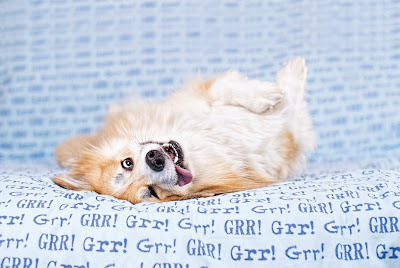 There's an index at the end providing each dog's name and breed, and flicking back and forth all the time was a little tiresome. I'd much prefer the information to be subtly located on each page, but that's just me. Upside-Down Dogs is the perfect gift for dog lovers and animal lovers everywhere. 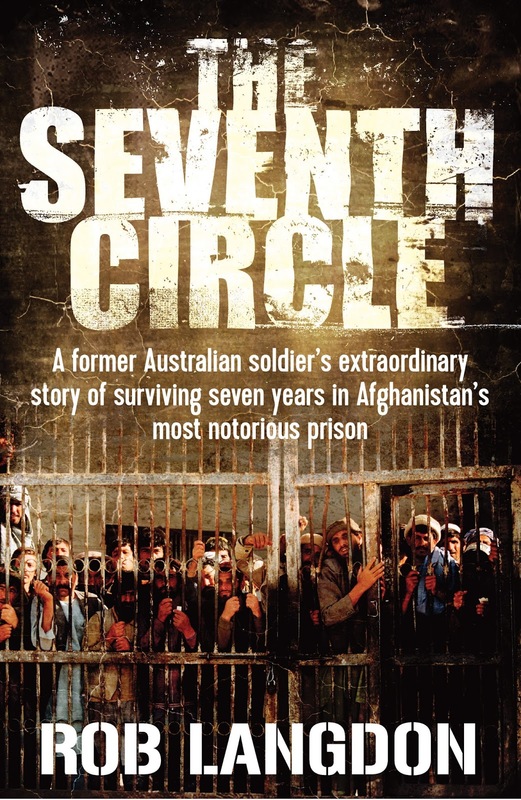 Now for a sneak peak inside the book, thanks to Hachette Australia. Many of you know I have a thing for stationery, and love to send family and friends a card for birthdays, Christmas and special occasions. I think sending something in the mail in the form of snail mail or happy mail is a cheerful and fun thing to do to brighten someone's day. 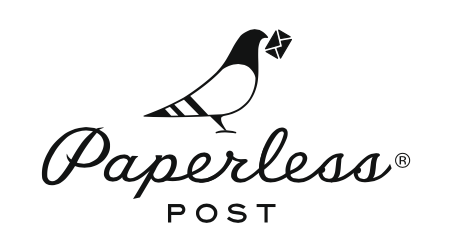 So when Paperless Post asked me to trial their online stationery platform, I was excited to accept. Nothing beats a physical card, but sending e-cards with Paperless Post is a much cheaper and quicker way of communicating with friends and family, and there's no chance your card will be lost in the mail. I loved choosing from the wide range of cards and spent quite a bit of time selecting the colour of envelope, the design of the envelope liner (so much fun! ), the stamp, postage mark and viewing background. The designs are attractive and modern and there seem to be an endless number of combinations. Users are guaranteed to come up with something unique to their event or recipient. And did I mention it was fun? 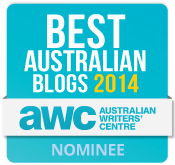 If you've ever used Moonpig, this is like Moonpig on steroids! There are options to create events, address lists and track your recipient activity. Recipients can send you a message back if they want to, and it's all collated in your dashboard. You can even track RSVPs, and I imagine this would be an easy and fun way to organise the office Christmas party. There doesn't seem to be a way to set your country of origin, so the tracking dates and times didn't correlate with my activities in the dashboard. I didn't see an option to schedule the sending of a card on Paperless Post, but I assume there must be a function somewhere to allow you to choose the date and time your card is sent. However, being in Australia and the times not matching up, this could a little be problematic for some users. You can email yourself a preview of the card, but it says “your recipient’s name will go here” so you can’t see exactly what it’ll look like to your recipient. While Paperless Post - and platforms like it - may very well be the way of the future, I think I'm going to continue sending physical cards and notes for now; barring the occasional event where this method of delivery has it's advantages. Congratulations Mary! You'll receive an email from me today and will have 7 days to provide your mailing address. Your prize will be mailed directly to you by User Design and I hope you enjoy the books. 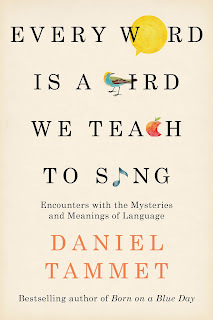 Every Word Is A Bird We Teach To Sing - Encounters with the Mysteries and Meanings of Language is a collection of essays by Daniel Tammet. Daniel is an autistic savant with synaesthesia and his love of language and words intrigued me enough to pick up this book and find out more. What I learned quickly was that Daniel Tammet is a little out of my league. His collection of essays takes an almost academic look at language and meaning, and I wasn't prepared for just how many languages he would reference; narrowly thinking this book would be primarily about the English language. 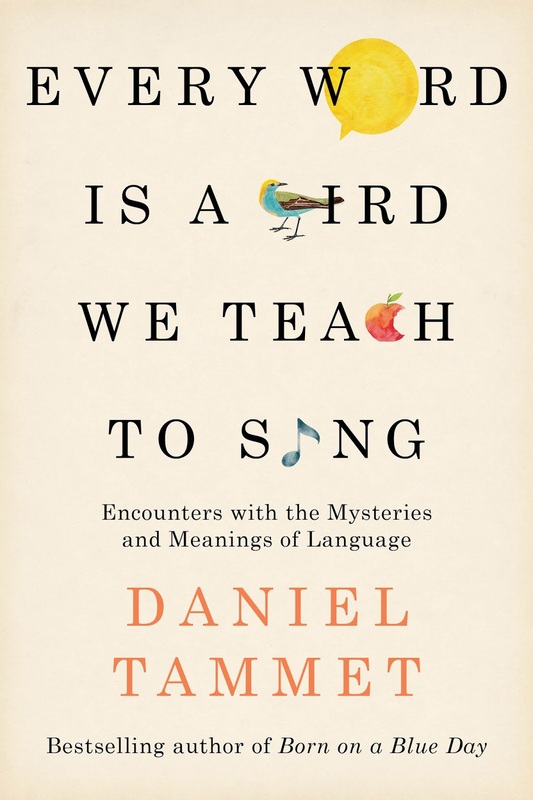 I later learned Tammet is a polyglot and has mastered 10 languages: English, Finnish, French, German, Lithuanian, Esperanto, Spanish, Romanian, Icelandic, and Welsh, the majority of which are referred to in this book. An Englishman at L'Academie Francaise was about the group of people assigned the task of refining the French dictionary. This felt like a glimpse into another century, so to discover this is still happening today was a thrill. My favourite essay was Talking Hands, which was essentially about ASL. I didn't know that the persons's stance - leaning forward, leaning back or to the left/right - also added meaning to sign language and I just loved this essay. I enjoyed A Grammar of the Telephone, which was all about how the emerging technology of the time inspired a new way for people to begin a conversation and talk to each other without the cues of body language. Translating Faithfully was about translating the Old Testament and Conversational Human looked at whether chatbots will ever sound truly like 'us'. OuLiPo is the essay title, but also a "loose gathering of (mainly) French-speaking writers and mathematicians who seek to create works using constrained writing techniques." (Wikipedia) While writing about these writers, Tammet does so without ever using the letter 'e'. 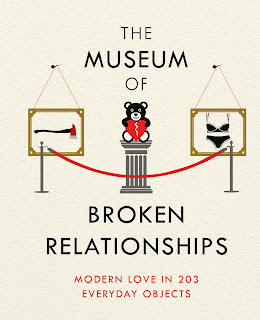 It was amusing and easily the most impressive piece of writing in the collection. I recommend this book to those with an interest in linguistics. Those with a love of the English language might find themselves a little out of their depth in some of the essays but there's no reason why you can't pick and choose which essays to read. It will be well worth the effort. 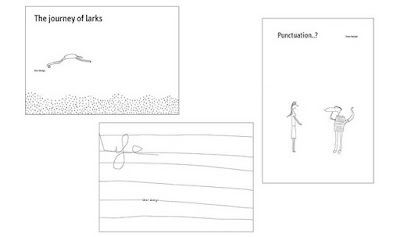 Today's Friday Freebie giveaway is a collection of 3 illustrated books from User Design valued at $44.00AUD. 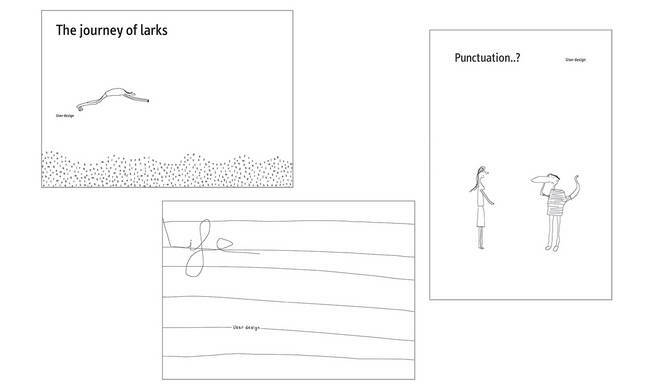 If you enjoy graphic illustrations, cartoons, punctuation and writing, this collection is for you. The Last Tudor is the story of the three Grey sisters, Jane, Katherine and Mary, cousins to Mary Tudor and Elizabeth Tudor. Beginning in 1550, the story unfolds from each sister's point of view in three separate sections, giving us uninterrupted access to their lives. Jane Grey is the eldest and a steadfast Protestant and was made Queen of England for just nine days. Katherine is the polar opposite of her sister and plans to enjoy the trappings of her station as cousin to the Queen of England. Mary Grey is the youngest of the three sisters and was said to be a little person, or a dwarf. She is largely overlooked and serves her cousin Elizabeth I faithfully, but like her sister Katherine, she falls in love and seeks only to be happy. Queen Elizabeth I is portrayed as a vain and jealous Queen, reluctant to let any of her ladies marry, and in the case of the Grey sisters, to prevent the birth of a Tudor heir. 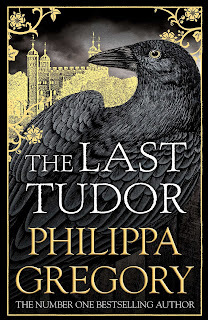 Drawing on real letters and historical fact, The Last Tudor has been impeccably researched and as a fan of Philippa Gregory's writing, I have come to expect nothing less. I was most interested in the life of Mary Grey but the threat of treason and death accompanied the lives of all three sisters. 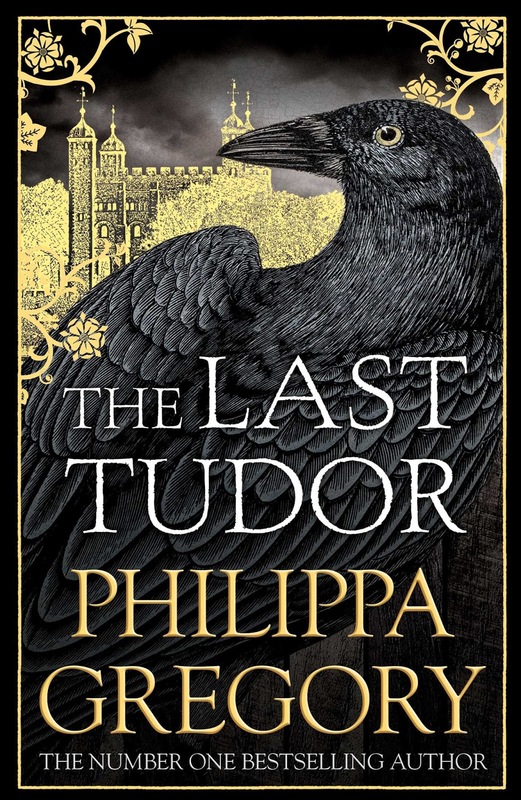 I highly recommend The Last Tudor by Philippa Gregory to readers everywhere. It's just a shame this is her final novel based on the Tudor family. I've been using a bullet journal for 3 years now and while I have the basics down pat, I'm always keen for ideas on how to beautify my journalling. 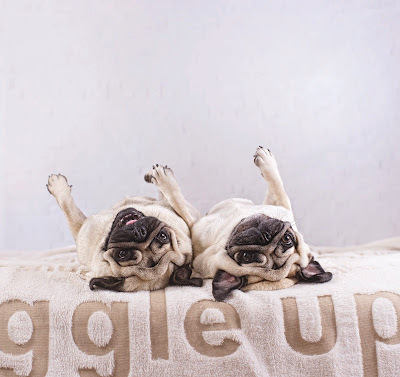 Bullet It! 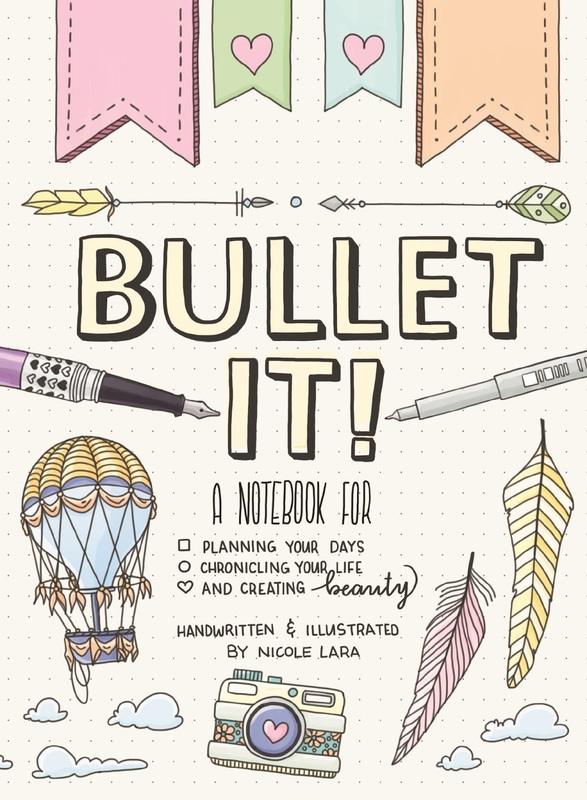 is written and illustrated by Nicole Lara, an artist and enthusiastic bullet journaller. Nicole has created a Notebook for planning your days, chronicling your life and creating beauty, but doesn't do much to teach newcomers the art of the bullet journal. Why is a dot grid so useful? What kind of lists can you make? What are the symbols for tasks? How do you mark off a completed task or migrate it to the next day? How do you set up an index? What else can you do? Instead, Bullet It! provides decorated pages for you to write in with prompts along the way, for example: What makes you happy? Why? and How could you overcome your weaknesses? While the responses might make a nice diary entry, it doesn't fit with my idea of a bullet journal, which centres around organising. The banners, flags, arrows and header ideas were fantastic and I'll definitely be making an attempt to incorporate some of these into my current bullet journal. The perforated pages were a great idea, and while I'm reluctant to pull pages out of a book, I know many readers will. There was a heavy focus on doodling and 3 pages of how to doodle ice-creams felt like overkill. Similarly, 3 step-by-step doodle instructions for how to draw a retro camera and 2 for hot air balloons seemed to detract from the bullet journal concept. 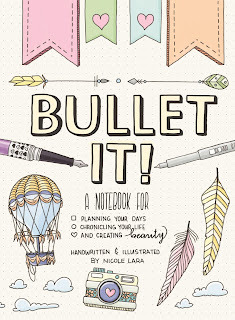 I would have liked more info on bullet journal basics, how the author uses her bullet journal and how to incorporate other materials like stickers and washi tape. I loved The Martian by Andy Weir so much it made my Top 5 list for 2014. Since then, I've been looking forward to his next novel, and watching Matt Damon in the film adaptation of The Martian managed to sustain me in the meantime. Fast forward to late 2017, and the wait is over! Artemis is coming out next month, but unfortunately it's nothing like The Martian. 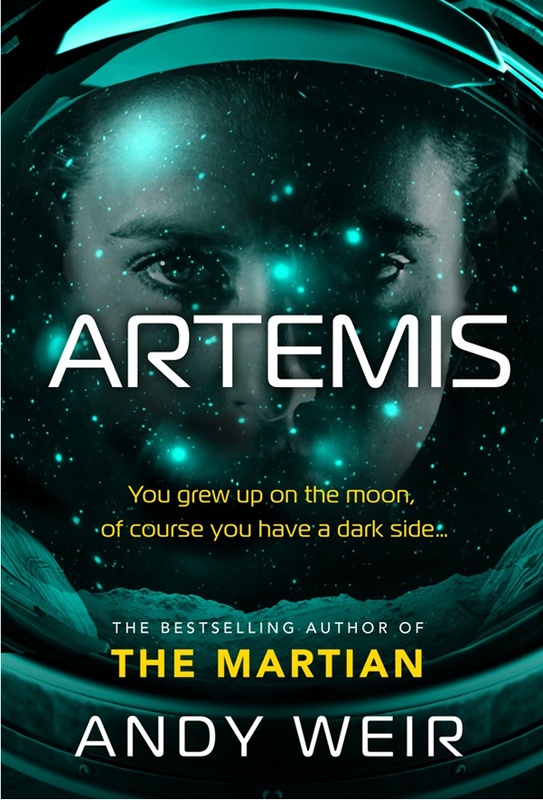 Artemis is about a young woman living in a settlement on the moon. The Martian is about a man stranded on Mars. Sound similar? They're both set in space, they both have a lot of science, but where Mark Watney is hilarious, Jazz is not. The science in The Martian is critical to the character's survival. In Artemis, the science centres around a heist. I didn't warm to the character of Jazz at all. Her one liners and jokes weren't funny and I just didn't care enough about her welfare or what she was doing. Where I was laughing on every other page and marvelling at the science while reading The Martian, I was longing for Artemis to end. 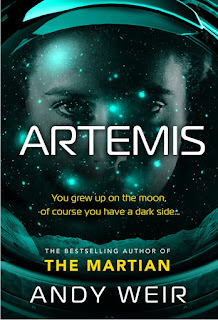 I'm understandably disappointed, as this was a long awaited release I was really really looking forward to, but if you loved reading The Martian, do yourself a favour, and give Artemis a miss. The magic just isn't there. 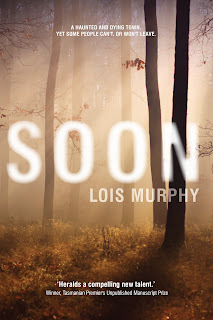 Today's giveaway is your chance to win 1 of 3 print copies of literary thriller Soon by Australian author Lois Murphy. An almost deserted town in the middle of nowhere, Nebulah’s days of mining and farming prosperity – if they ever truly existed – are long gone. These days even the name on the road sign into town has been removed. Yet for Pete, an ex-policeman, Milly, Li and a small band of others, it’s the only place they have ever felt at home. One winter solstice the birds disappear. A strange, residual and mysterious mist arrives. It is a real and potent force, yet also emblematic of the complacency and unease that afflicts so many of our small towns, and the country that Murphy knows so well. Lois Murphy has travelled widely, most recently spending six years exploring Australia in a homemade 4WD truck, working mainly in small or remote towns, before settling in Darwin for a number of years. She has won a handful of prizes for her writing and the majority of Soon, her first novel, was written while living in a caravan park in Carnarvon. 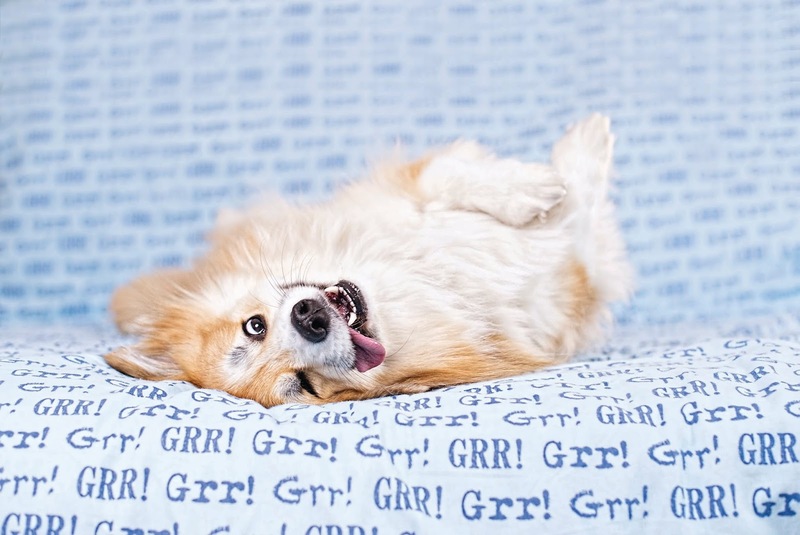 Lois currently lives in Melbourne, Victoria. 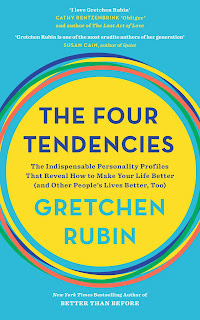 I loved reading The Four Tendencies by Gretchen Rubin and was fascinated by the four tendencies she has outlined in her book. In no particular order they are: Upholder, Obliger, Questioner and Rebel. You can take the quiz for free and determine your own tendency; but I'm an Obliger. And it makes so much sense to me. Here's why. I'm an Obliger, which is why I've thrown so much energy into my volunteer work; I have a committee and members who depend on me. But when it comes to my own personal goals, these are frequently set aside in order to do something for somebody else first. Luckily Gretchen covers the strengths and weaknesses of all four tendencies, how to get along with others and understand why we make the choices we do. Reading this book has confirmed that I need to attach external accountability to my own personal goals and inner expectations in order to succeed. This might require a little creativity, but I'm willing to give it a go. I had great fun reading The Four Tendencies and recognising myself and others in her descriptions and real life scenarios. Highly recommended to anyone wanting to know themselves better or improve relationships with their loved ones, kids and colleagues. An amusing and informative read. City of Crows by Chris Womersley is historical fiction (my favourite genre) and contains some of my favourite tropes in a novel: witchcraft and the plague. 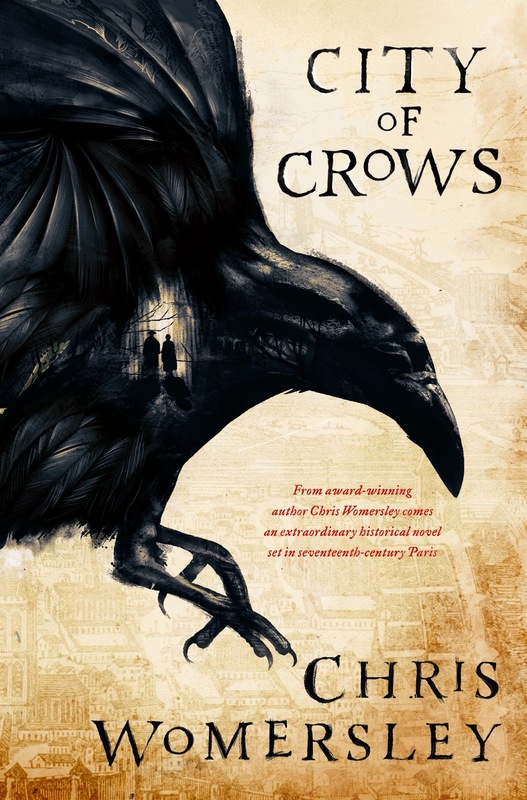 Set in late 1600s France, City of Crows is essentially a story of survival. Charlotte, recently widowed and trying to save her son from the plague and Monsieur Adam du Coeuret, a prisoner assigned to the galleys for his crimes are both seeking freedom from their harsh lives. I'm not sure whether I should have picked this up straight after reading Ken Follett's A Column of Fire, as it could have dampened my enjoyment of Womersley's tale somewhat. Follett is an historical fiction writing wizard and in the shadow of that great tome, City of Crows failed to reach the heights I was hoping for. A satisfactory and entertaining story, the City of Crows of the title is Paris and I absolutely love the cover art, don't you? Knowing the characters are based on real people and historical facts certainly added to my enjoyment and appreciation of the research involved. In a different world, I would have liked to have stayed with Charlotte and followed her journey through life for the next 50 years - without the involvement of Adam. 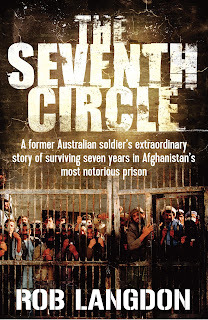 This is my first novel by the Australian author Chris Womersley, and reading it has made me determined to seek out his award-winning novel Bereft in the future. 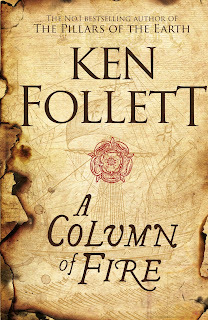 A Column of Fire is the third in the Kingsbridge series, the first two of which have been instant 5 star reads for me. 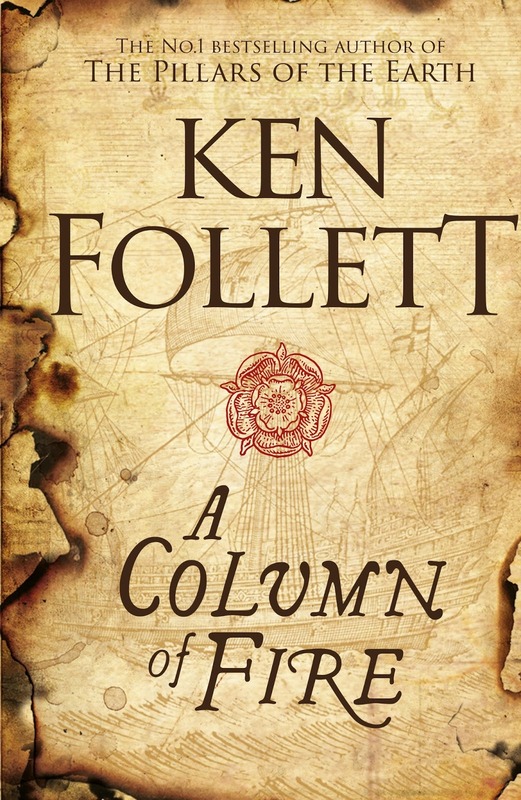 Just like The Pillars of the Earth and World Without End, A Column of Fire can be read as a stand alone, although fans of the series will notice the occasional nod to the past and the characters who built the cathedral or the bridge etc. It's 250 years since World Without End and A Column of Fire begins in our favourite town of Kingsbridge although spends little time there throughout the 750 pages. 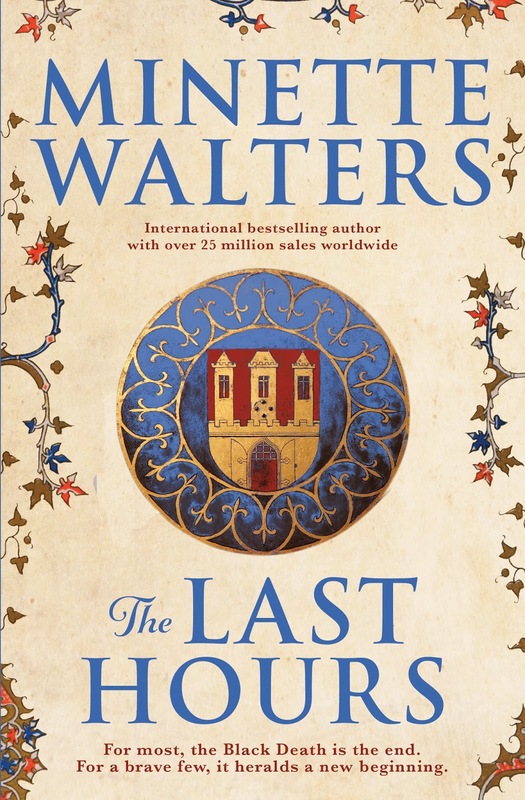 Instead the scope is extended as far as France and Spain to take in a global and politically charged plot that reads more like a Philippa Gregory novel. Set between the years 1558 - 1606 and the reign of Elizabeth I, the novel captures the political turmoil of the time and the religious debate between Protestants and Catholics. The cover art features a ship and the scenes involving the Spanish Armada were some of the best I've ever read on the topic in historical fiction. However, where I mourned the ending of World Without End and wanted it to continue forever, I was at peace with the ending of A Column of Fire. Follett cleverly reminds the reader of the relationship between characters (and who's who) and I imagine if you put the book down for a few weeks, you could easily fall back into the story despite the complexities. 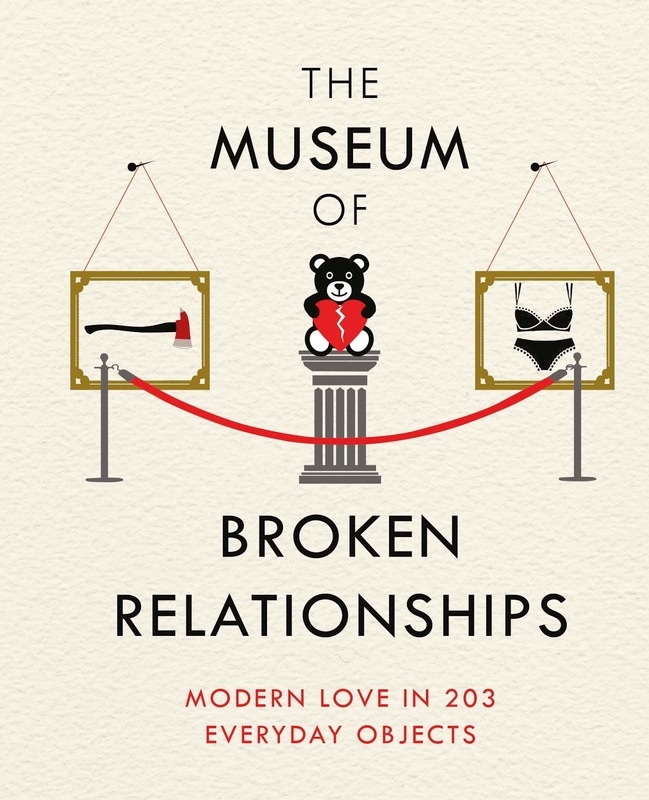 Naturally I would never put down a Ken Follett novel and in fact I maintained a strictly monogamous reading schedule until I'd finished this great chunkster of a book. 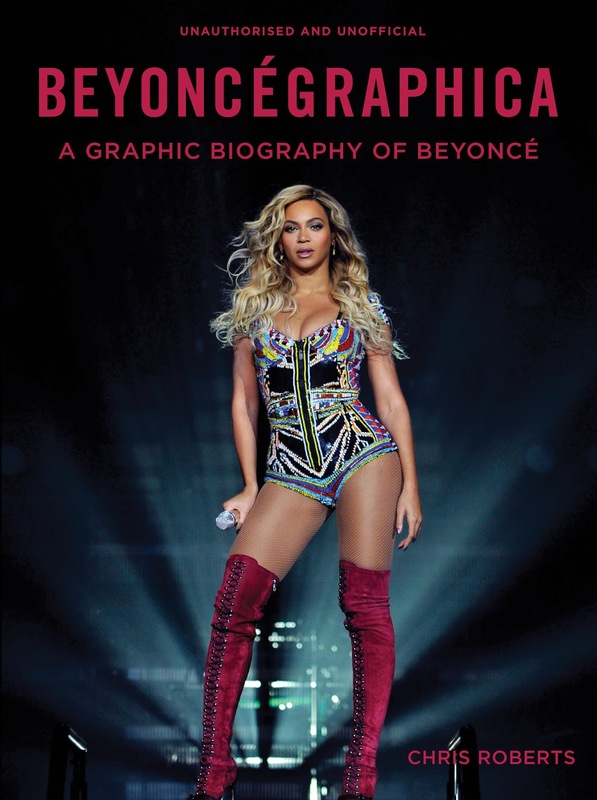 For an unauthorised and unofficial biography, Chris Roberts has managed to assemble an informative and satisfactory biography of Beyonce here. Bound in a very attractive hardback edition, Beyonce's epic rise to fame unfolds in a combination of stunning photographs, intricate infographics and chronological chapters. Her time with Destiny's Child is covered well, and I was keen to learn more about her hard work ethic and the success of her early days. Beyonce's romance and subsequent private marriage to Jay-Z is included as is the release and success of all of her albums. Beyonce's world tours are covered and her extensive philanthropic work is also mentioned. Many of the infographics were unexpectedly detailed and a few were a little difficult to work out at first. My favourite infographic of the book showed how much it costs to maintain Beyonce's body per year and the amount of money she spends on her hair was out of this world. (Particularly given I had just received a haircut that cost me $27). The photographs are impressive and definitely capture Beyonce's beauty and allure as an icon for feminism and girl power around the world. In summary, I recommend Beyoncégraphica - A Graphic Biography of Beyoncé by Chris Roberts to fans of Beyonce and her back catalogue of music; those interested in the music industry; readers with an interest in feminism and music, and those curious about the rise and influence of celebrity in our society.